- 20 game prefabs for photorealistic city. 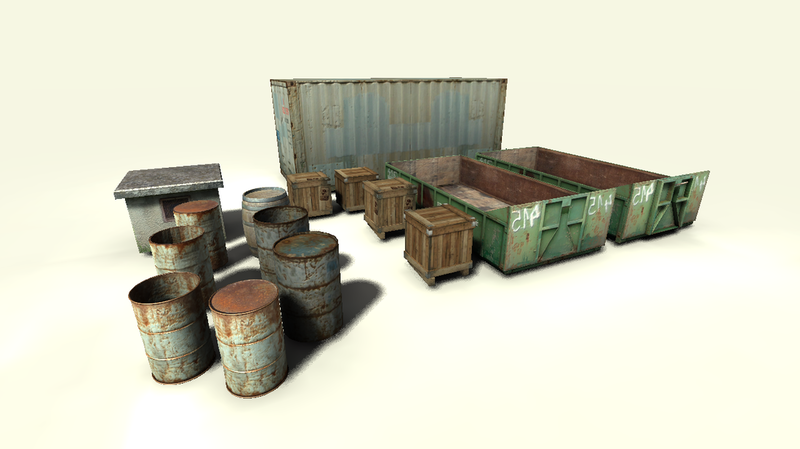 In package are barrels,boxes,containers and many more objects Package has 18 Textures. Quality suitable for FPS type games. Some objects are in two variants - hi and low. - Models have prepared two mapping coordinates. One for the diffuse map and one for the light map. Coordinates were made manually for best result.